Intel will retire tick-tock —which saw process improvements (tick) followed the next year by architecture overhauls (tock) —in favor of a new three-step approach. Going forward, the company will back new architectures with an optimization period rather than immediately moving toward a process shrink. "We expect to lengthen the amount of time we will utilize our 14nm and our next generation 10nm process technologies, further optimizing our products and process technologies while meeting the yearly market cadence for product introductions," Intel revealed in its most recent 10-K filing. Intel explained that it now believes there is more to be had from baking new capabilities into its chips and expanding their possible use cases than from fighting against the laws of physics in an attempt to extend the life of Moore's Law. "We have continued expanding on the advances anticipated by Moore's Law by bringing new capabilities into silicon and producing new products optimized for a wider variety of applications," the company wrote. "We expect these advances will result in a significant reduction in transistor leakage, lower active power, and an increase in transistor density to enable more smaller form factors, such as powerful, feature-rich phones and tablets with a longer battery life." Since switching to Intel processors, Apple has roughly followed Intel's cadence by updating the Mac line on every tock. That means that unlike iOS devices, Macs often go two to three years between major updates —the company has yet to offer computers with Intel's latest Skylake processors, for example, more than six months after the new chips were announced. 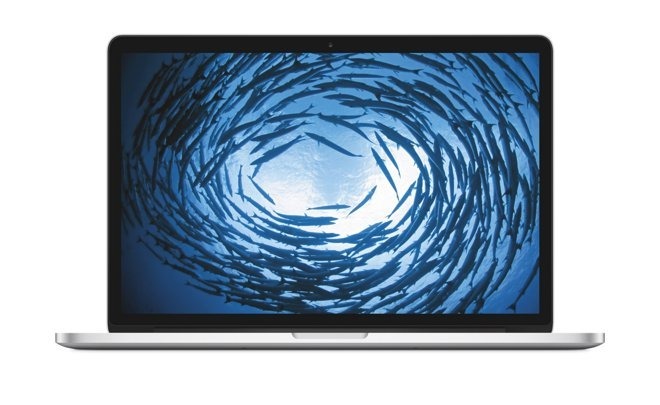 The latest scuttlebutt has suggested Apple is planning to refresh its MacBook lineup in the second quarter of 2016. Both its MacBook Pro and 12-inch MacBook are due for updates, and it remains to be seen what the company plans to do with the MacBook Air lineup. Who would actually use the selfie flash on a 9.7" iPad Pro?